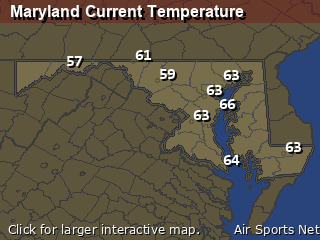 Change location by the zip code or city,state: or search for other weather forecast locations in Maryland by name. Tonight... Showers and thunderstorms before 11pm, then a chance of showers. Some storms could be severe, with damaging winds and heavy rain. Low around 60. 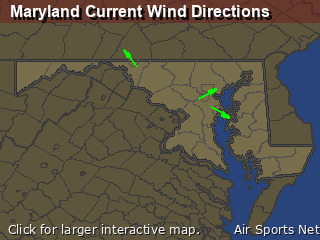 Southeast wind around 14 mph, with gusts as high as 29 mph. Chance of precipitation is 100%. New precipitation amounts between a half and three quarters of an inch possible. Saturday... Scattered showers, mainly before 8am. 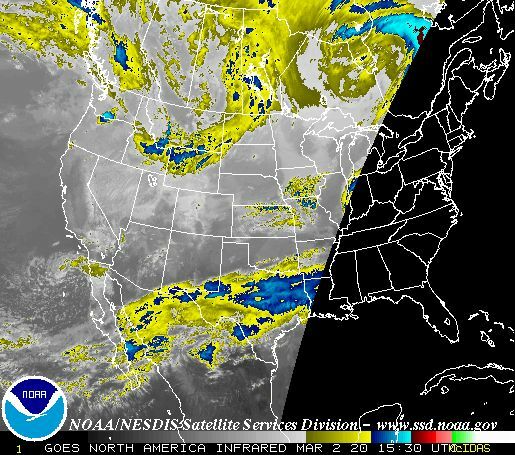 Cloudy, then gradually becoming mostly sunny, with a high near 70. South wind 14 to 17 mph, with gusts as high as 36 mph. Chance of precipitation is 30%. Saturday Night... A chance of showers after 2am. Mostly cloudy, with a low around 51. South wind 5 to 10 mph becoming light after midnight. Winds could gust as high as 22 mph. Chance of precipitation is 30%. Sunday... A chance of showers. Mostly cloudy, with a high near 63. Southwest wind 5 to 7 mph. Chance of precipitation is 50%. Sunday Night... A chance of showers. Mostly cloudy, with a low around 50. West wind 3 to 5 mph. Chance of precipitation is 40%. Monday... A slight chance of showers. Partly sunny, with a high near 70. Chance of precipitation is 20%. Monday Night... Partly cloudy, with a low around 55. Tuesday... Mostly sunny, with a high near 79. Tuesday Night... Partly cloudy, with a low around 59. Wednesday... A chance of showers. Partly sunny, with a high near 73. Chance of precipitation is 30%. Wednesday Night... Mostly cloudy, with a low around 54. Thursday... Mostly sunny, with a high near 71. Thursday Night... A chance of showers. Mostly cloudy, with a low around 55. Chance of precipitation is 30%. Friday... A chance of showers. Partly sunny, with a high near 73. Chance of precipitation is 30%. Any use of the information on this page is at your own risk. This information should not be relied upon in life-threatening situations, potential financial loss situations or in lieu of any officially disseminated information. Visit the National Weather Service for official information.